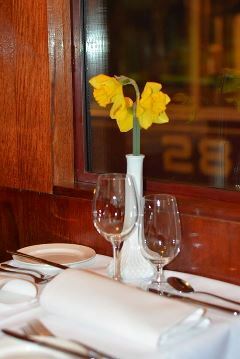 We have modified the former Melbourne Colonial Tramcar Restaurant Tram No. 3 (Tram number 939) for private functions. 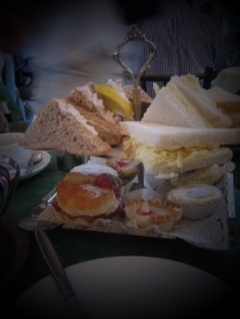 You provide your own food / drinks, serving and wait staff, or you arrange with an accredited caterer for these. The Museum will provide a Driver and crew, a Barista and a Waiter, who will be able to assist you in successfully managing your event. There is great flexibility about operating hours and running options. Large saloon with four booths that seat four people each and four two seat booths - seating 24 people. 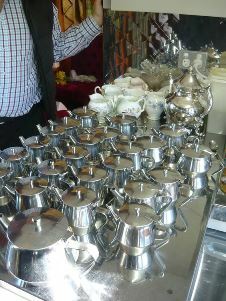 $299 for 2 hours and $100 per extra hour - includes all hot drinks as well as our Motorman (driver), Barista and Waiter. Prices will be discussed and confirmed at the time of booking. A deposit of 50% is payable upon booking. The booking is subject to our terms and conditions that covers food, food handling and the tram being left in clean condition and no damage upon completion of the hire. These will be discussed with you at the time of the booking. The tram is not fitted with toilets but there are two toilet blocks along our line. Disabled access is currently not available. The tram is not suitable for children’s parties. We have alternatives for these types of events. Enquiries to: bookings@btm.org.au Please include contact details and we will arrange a convenient time to visit the tram and discuss options. View our Cuthberts brochure and find out who the tram named after. Airconditioning units covers: manufactured and donated by Ballarat Pressings. 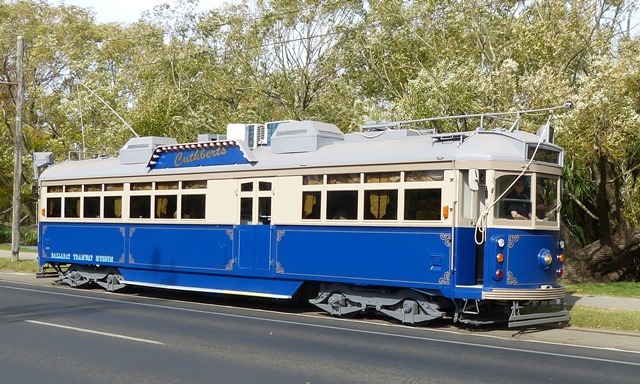 Return to the Ballarat Tramway Museum's Home Page.